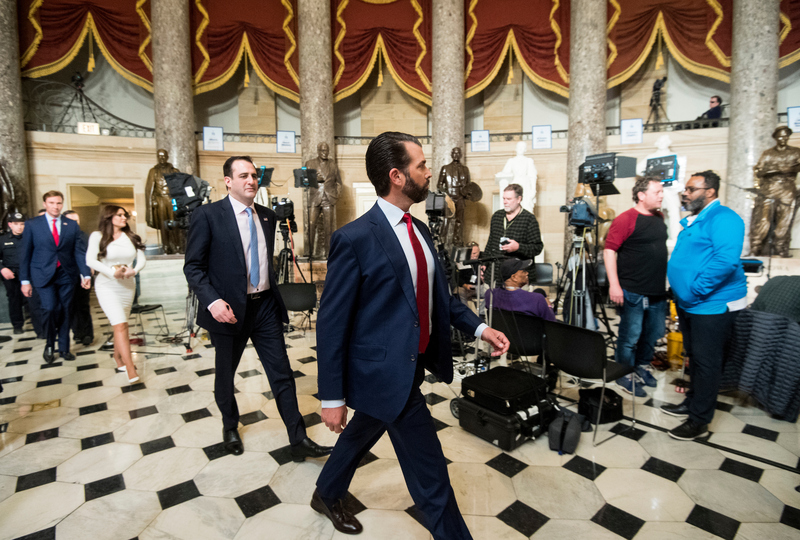 Donald Trump Jr. entered Statuary Hall for his father’s State of the Union address on Tuesday headed for a friendly office but ended up in enemy territory. The president’s son intended to pay a visit to the office of Minority Leader Kevin McCarthy but was headed to that of Speaker Nancy Pelosi before he reversed course. Heard on the Hill suspects that route was out of habit for Trump Jr., given that Paul Ryan inhabited that office when Republicans controlled the House. Democrats took over control of the House in January after winning more seats in the 2018 midterm elections. It’s common for party leadership to have meetings with family members, political figures and State of the Union guests ahead of the address.